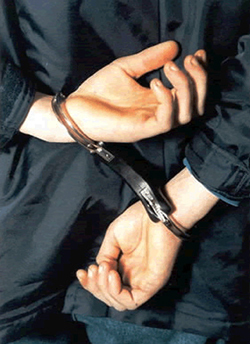 Glascock County bail bonds are essential for people who have been arrested. As a qualified provider, we perform this service as efficiently as possible. The bail bonds process in Glascock County can seem confusing until you understand the procedure. An experienced Glascock County bail bonds provider can really make a difference in the outcome. Getting released fast is the goal of everyone who uses the services of our Glascock County bail bondsman. Contact the experts at Anytime Bail Bonding, Inc. at (478) 625-3711. Work with our qualified and experienced bail bondsmen in Glascock County for the best results. A bail bond allows the defendant to be released from jail. It is important to understand the basic services provided through our bail bondsman in Glascock County. The money will be paid back in full when the defendant appears for the court date that was scheduled. This reduces the number of delays that could otherwise happen. Get your bond as fast as possible by using the services of our Glascock county bail bondsmen. Once an arrest occurs, there is a period of time that will pass before the scheduled court date arrives. During this time, a bail bond can be issued by our licensed Glascock county bail bondsman. This will allow the defendant to leave jail and prepare for their upcoming case from the comfort of their home. All procedures must be done accurately in order to get the desired outcome. There are situations where bond payment plans or collateral can be used instead of cash payments. In Glascock County, there is no online directory for locating a prisoner, so it is necessary to call our phone number. The bail bonds process in Glascock County involves a bail hearing to determine the level of risk posed by the arrested person. This is not the point in time when our Glascock County bail bondsman will be involved. That comes after the bail has been set. States regulate the laws that decide exactly how long the hearing must take place following the arrest. The normal amount of time is between 48 to 72 hours. After the hearing is finished, you can get in contact with one of our experienced bail bondsmen in Glascock County. Our company serves the public by providing fast and accurate processing services for bail bonds in Glascock County. Most bail bonds in Glascock County will be completely processed within 24 hours after the initial bail hearing. Our Glascock County bail bonds company at Anytime Bail Bonding, Inc. will facilitate the completion of this process. Contact us if you require both accurate and timely issuing of bail bonds in Glascock County by calling us at (478) 625-3711 because when your freedom is on the line you can count on us any time.